You’ve ever been late to school because you were feeding the cows, mucking the stalls, or driving the tractor. You worked all during high school…not because your parents wanted to teach you the value of money but because you knew what it was like not to have any. Your high school has a training center for early learning and development…which doubles as a day care center for students with kids. There are two major religions…Christianity and football. Working at Wal-Mart, Publix, or Lowe’s means you have a “good job.” Having a management position anywhere means you “made it.” Owning your own business makes you hometown royalty. You’ve always dreamed of moving to the big city, which is actually just the next town over. Flip flops, shorts, and tank tops are acceptable attire for every occasion, but “getting dressed up” usually involves your best jeans and cammo (even at weddings and funerals). “Goin’ muddin’” is an acceptable past-time for family get-togethers or dates. The dirtier the truck on Monday morning, the more fun you had on Saturday evening. Yes, I’m from a small Southern town – and proud of it! 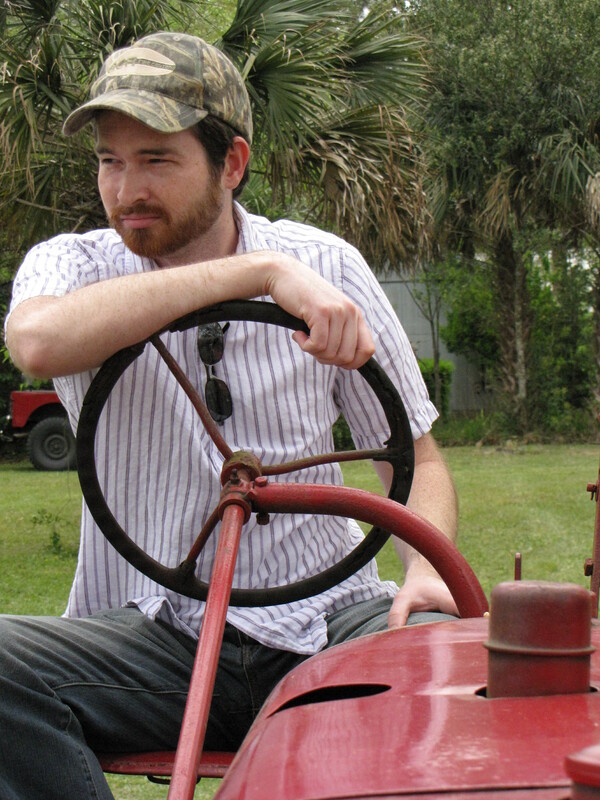 Robby found a tractor at the Worm Gruntin’ Festival in Sopchoppy, FL. Photo taken by Ashley.